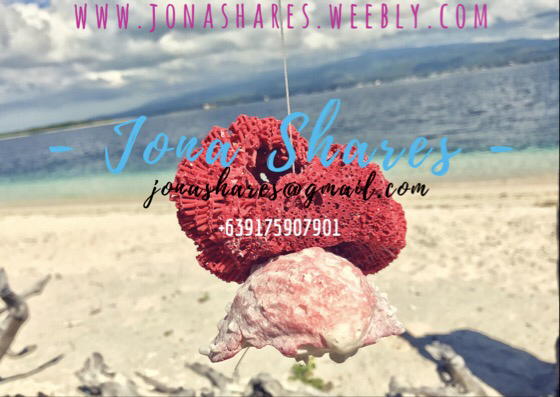 Jona Shares - Jona shares anything in between. ​Heading to the beach may be the most exciting part of summer. It is almost always part of the itinerary this season for most people. 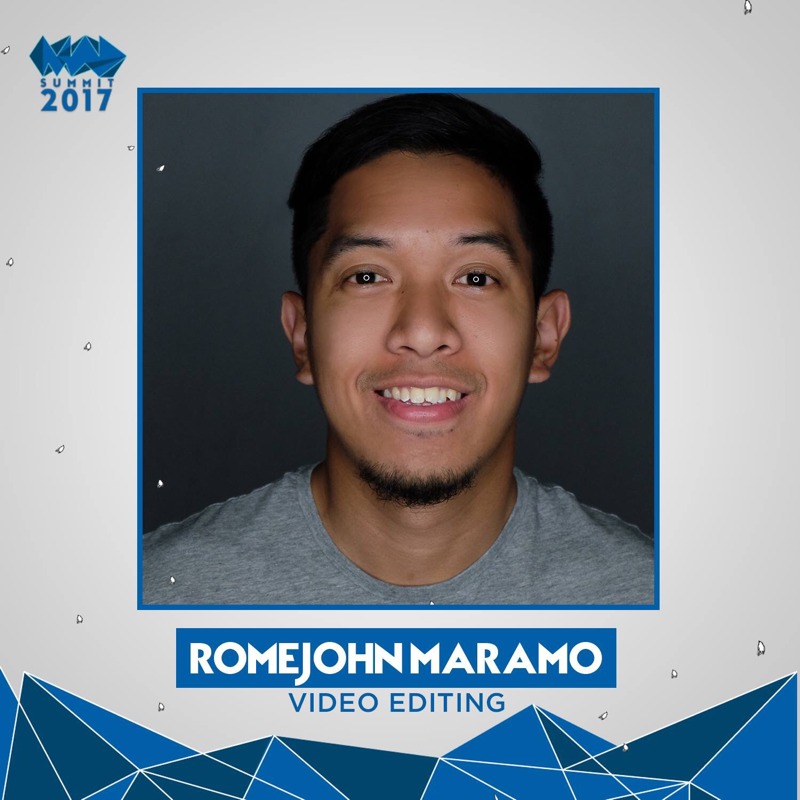 Others prefer to give in to their adrenaline rush climbing that mountain slope or just about anything that gets you that summer tan to fit in the crowd. 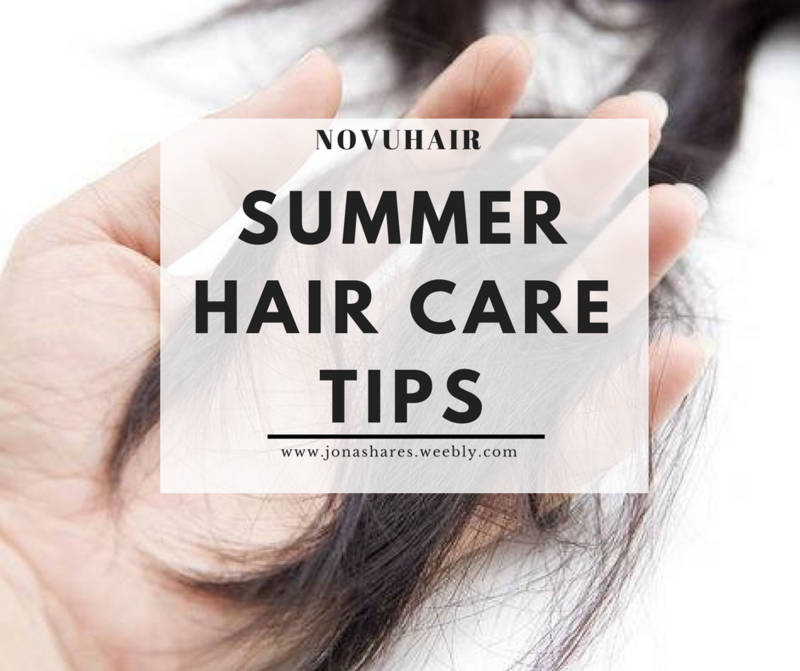 ​Did you know that spending extended hours under the extreme summer sun can pose serious danger to your hair and scalp? The same UV rays that brings damage to your skin without proper protection can equally hurt your hair and scalp. ​All these problem can be addressed by keeping your hair clean and showered after each activities. Take vitamin supplements that benefits you hair such as Vitamin C and Biotin. Getting your hair pampered will also give respite to the sun and chemical abuse. For more information visit www.novuhair.com, like the brand’s official Facebook Page at www.facebook.com/NovuhairOfficial, follow it on Twitter at @NovuhairNatural and on Instagram @novuhairofficial. You may also call the Novuhair hotlines at 4136570 and 09228830575 and order online at Lazada and regaloservice.com. 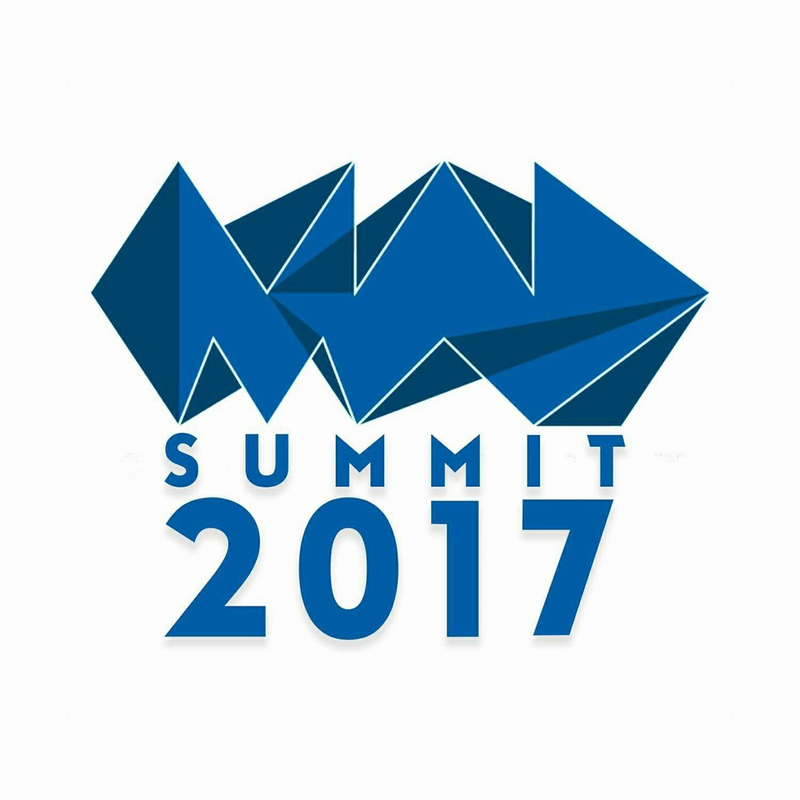 In the Philippines, a research from Jobstreet.com in 2015 named communication, trainability,and competence as the top three functional skills being sought by employers. A survey by the National Association of Colleges and Employers in the US almost has a similar result ranking leadership, communication, and ability to work with a team as the most valuable skills in the workplace. 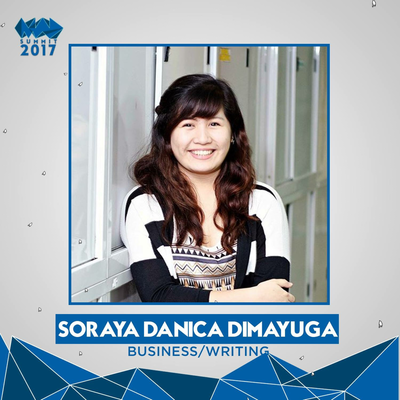 You need to continuously invest in developing yourself to cope with the demands of your job. 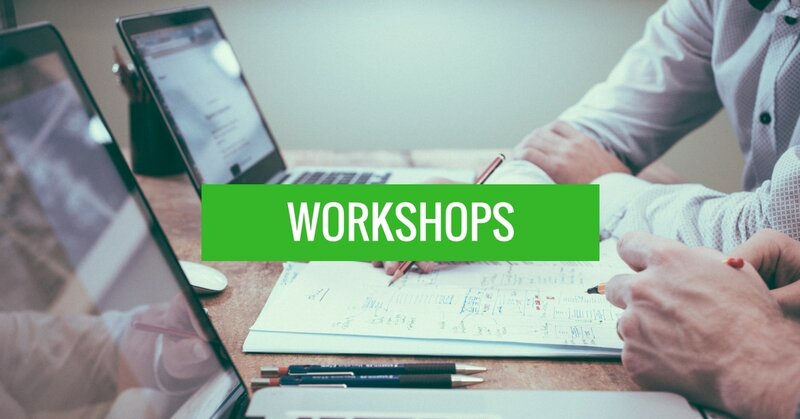 Aside from reading articles or videos from the internet, an effective way to learn is by attending workshops where you can interact with the trainer and meet fellow participants face-to- face. 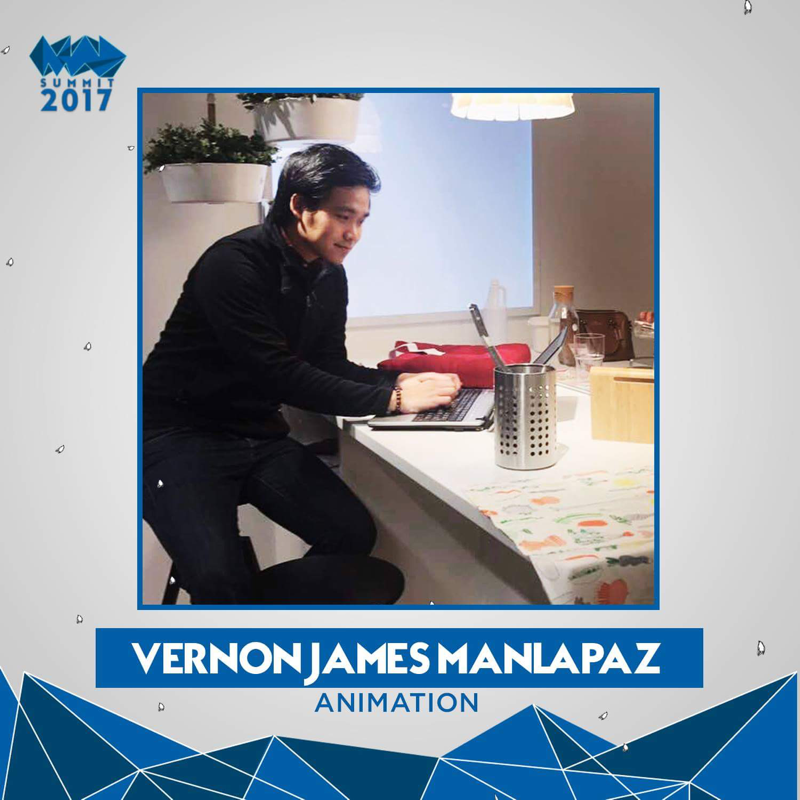 ​Go Up Events, an all-around event logistic provider, aims to support your career goals by organizing various workshops in Manila this 2017. 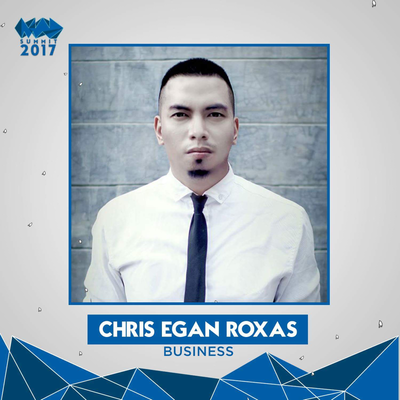 Their upcoming events this June and July focuses on communication, leadership, and marketing. Attending can be a sure way to set your learning objectives on track. 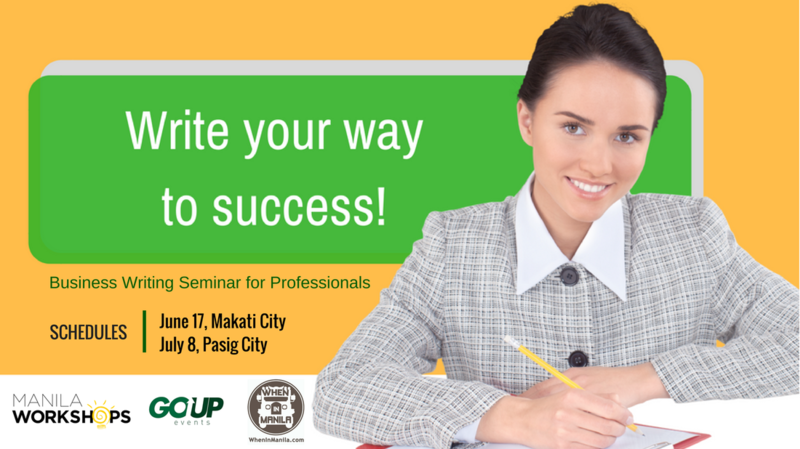 In partnership with Manila Workshops and WhenInManila.com, Go Up Events Manila presents Write Your Way to Success - A Business Writing Seminar for Professionals. If you want to learn how to write an effective letter, memo, minutes of the meeting, or e-mail, this is a highly-recommended workshop for you. To register and view course outline, visit http://bit.ly/WYWJune. 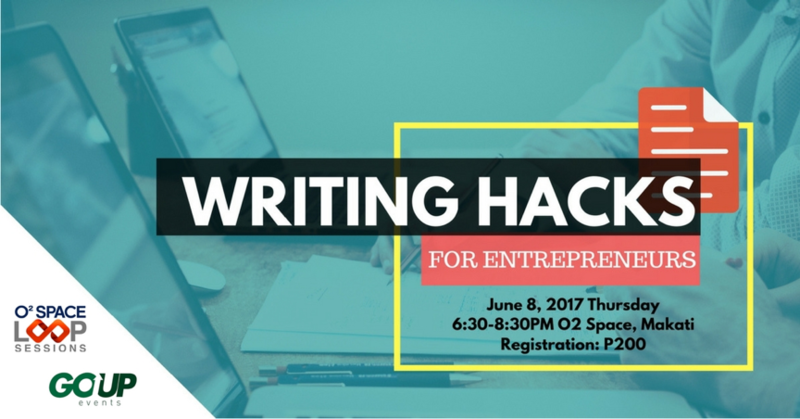 Writing Hacks for Entrepreneurs (insert hyper link http://bit.ly/WRITINGHACKS) is a two-hour seminar discussing tips on how to write content fast, create winning proposals, and use online tools to polish your documents. Professionals working in the fields of sales and marketing who write correspondences to gain clients will benefit from this event. 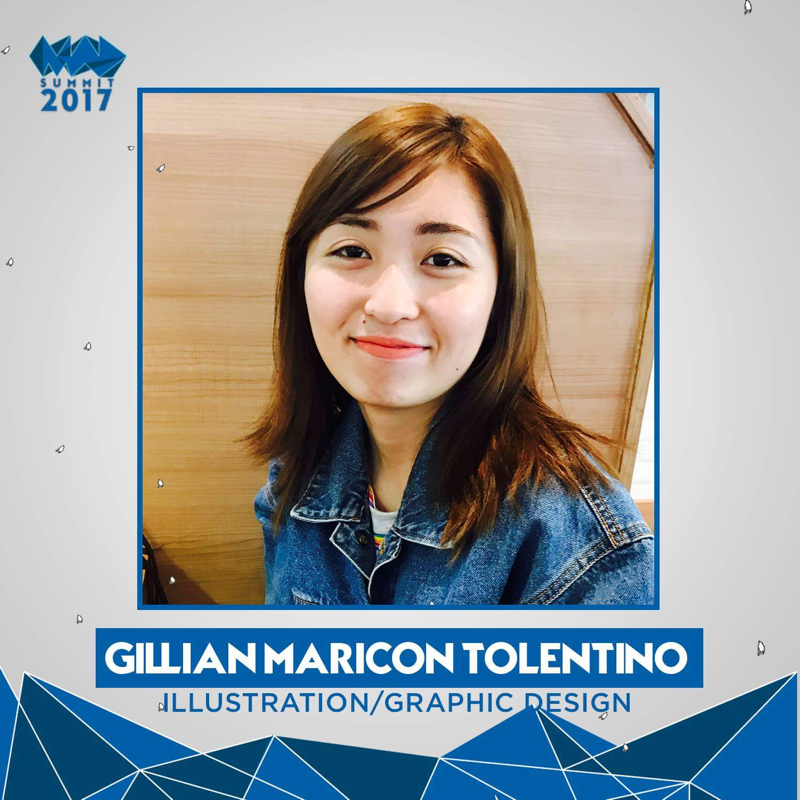 The registration fee will suit your budget at Php 200 only. 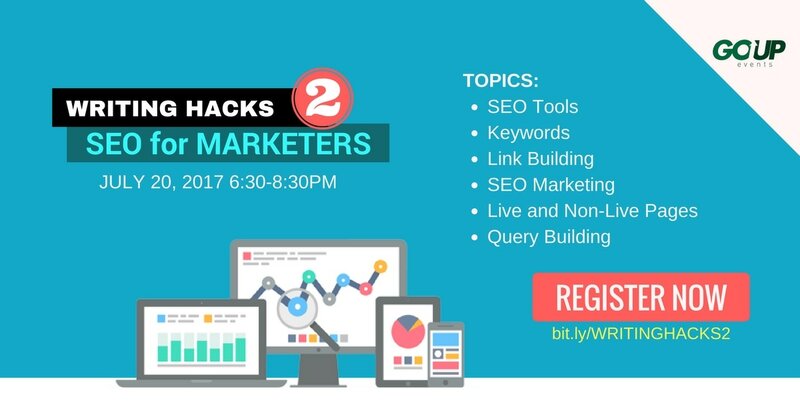 The second series of Writing Hacks is about Search Engine Optimization (SEO). SEO for Marketers is designed for the professional tasked to create content and drive traffic to their company website. Learn more about this event at http://bit.ly/WRITINGHACKS2. ​Leading direct reports require communication, management, and interpersonal skills. 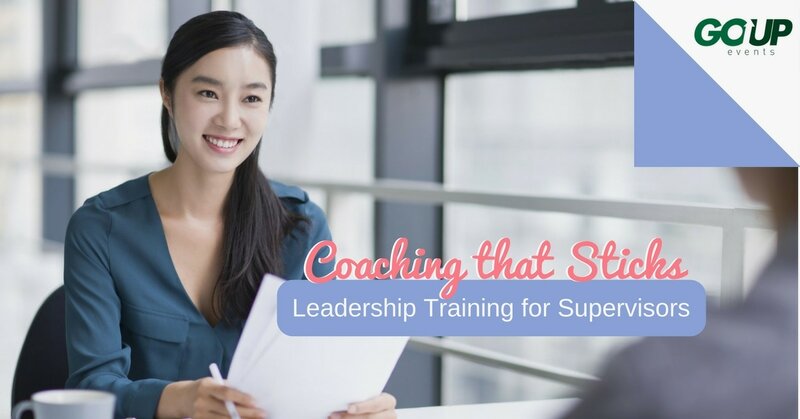 Coaching that Sticks - Leadership Training for Supervisors will help you navigate the task of motivating people to maximize team performance. Save the date on July 15 and reserve your slot at http://bit.ly/CoahingThatSticks. 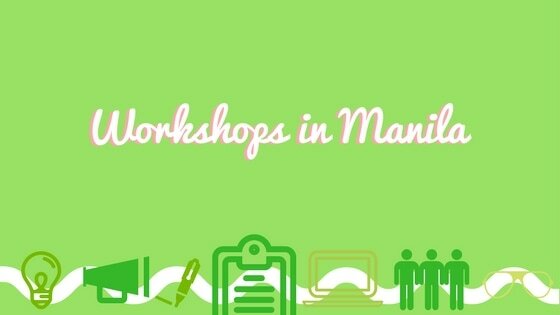 Does any of these workshops in Manila interest you? 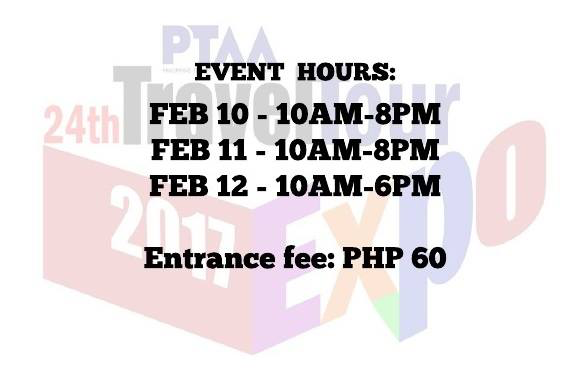 Contact Go Up Events Manila by sending an e-mail at goupeventsmanila@gmail.com or visit their website goupeventsmanila.wordpress.com. Commit yourself to developing your skills and building your confidence. 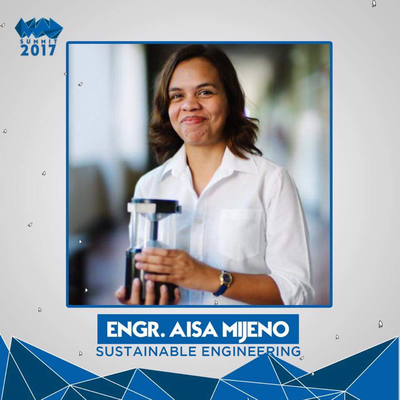 Take action and plan to join at least one workshop in Manila in each quarter. Set aside a sum of money each payday for the events you’d like to attend. 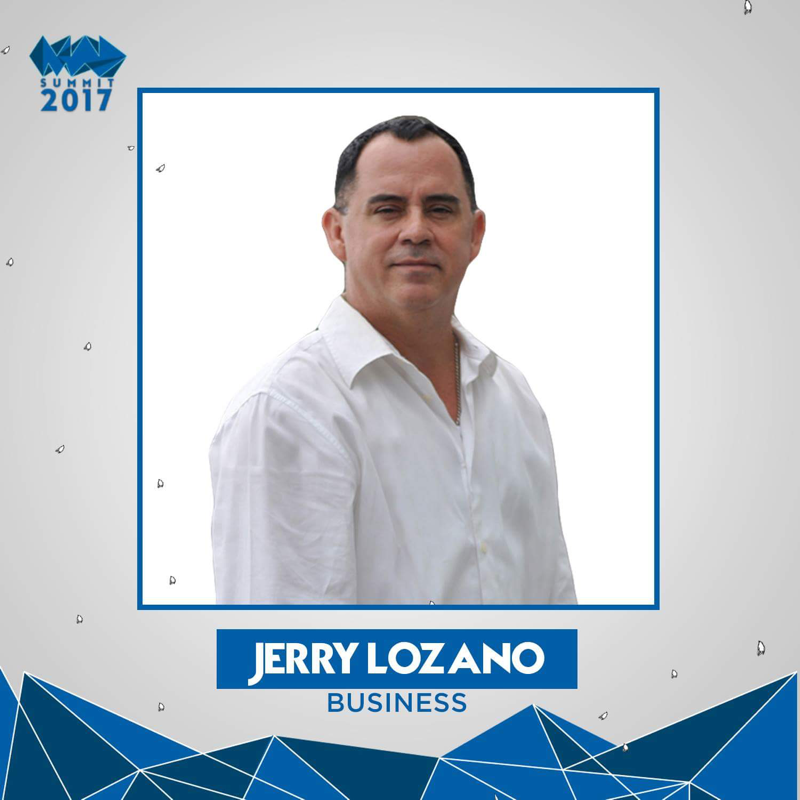 You may also share this link with your boss and ask if your company provides budget for training opportunities. 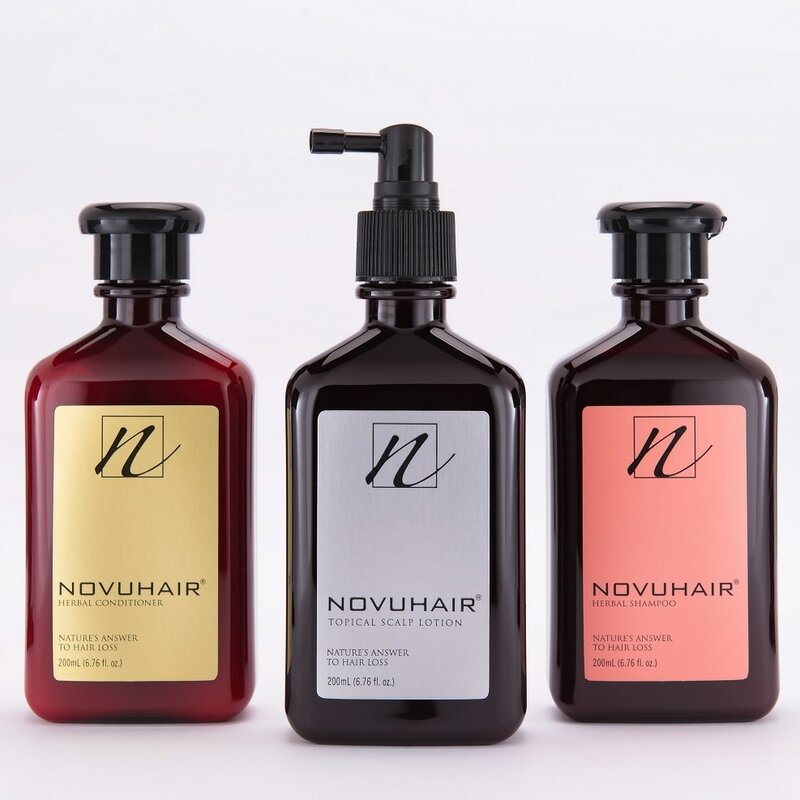 NOVUHAIR 3-in-1 pack is beyond compare. So, don’t think twice to wrap it as your present for her this Mother’s Day and, if ever, for life. Head on to any Mercury Drug and other leading drugstores to get a dose of nature’s answer to hair loss. For inquiries, call 413-6570 or 0922-8830575, and visit www.novuhair.com for more details. Social Media Accounts: Twitter @NovuhairNatural and Instagram @NovuhairOfficial for promo announcements and exciting updates. ​Garnering over four million views on Facebook and still counting, the latest Doublemint commercial about Sarah & Juan’s love story has touched the hearts of many Filipinos. It’s a love story filled with simple gestures of Sarah, offering Doublemint to Juan, and the latter, sketching the moment onto the wrappers. Netizens have expressed their kilig for the couple and their story. Here are some comments. ​Being the sentimental lot we are, one can't help but document moments like these--the first conversation, first date, anything that is a memory worth keeping. The story of Sarah and Juan has reached through our deepest feelings of finding love in the simplest things. We watched their story unfold and were glued to our monitors just to see how the story ends. This April, Doublemint will make this possible through LoveWraps. LoveWraps is your sweetest kilig moments turned into sketches on Doublemint wrappers. 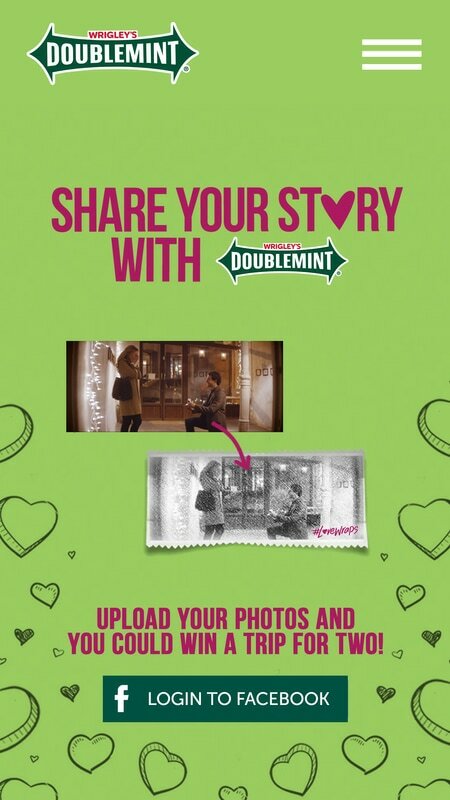 Just log in to www.mylovewraps.com, upload three pictures that best tell your love story, and voila, your DoublemintLovewraps are ready! If that isn't enough, the best entries of the promo can win a trip to Boracay, giving a new moment for the winners to share. LoveWraps will be Doublemint’s most romantic activation to date, which will run from April 17 to May 21, 2017. Visit www.mylovewraps.com now and start sharing! 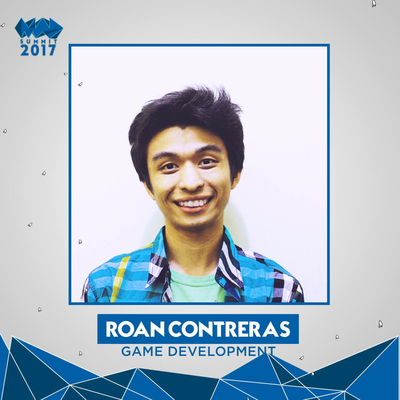 Roan is an indie game developer for almost 10 years, since the summer of 2008. 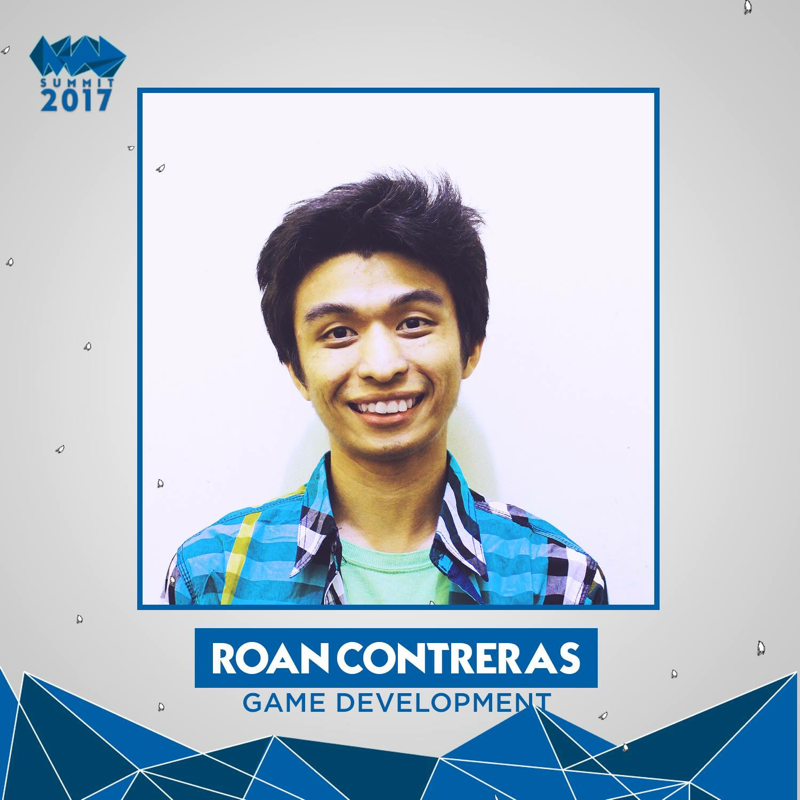 He creates video games, as inspired by other indie games, and by looking into the gap in the industry. 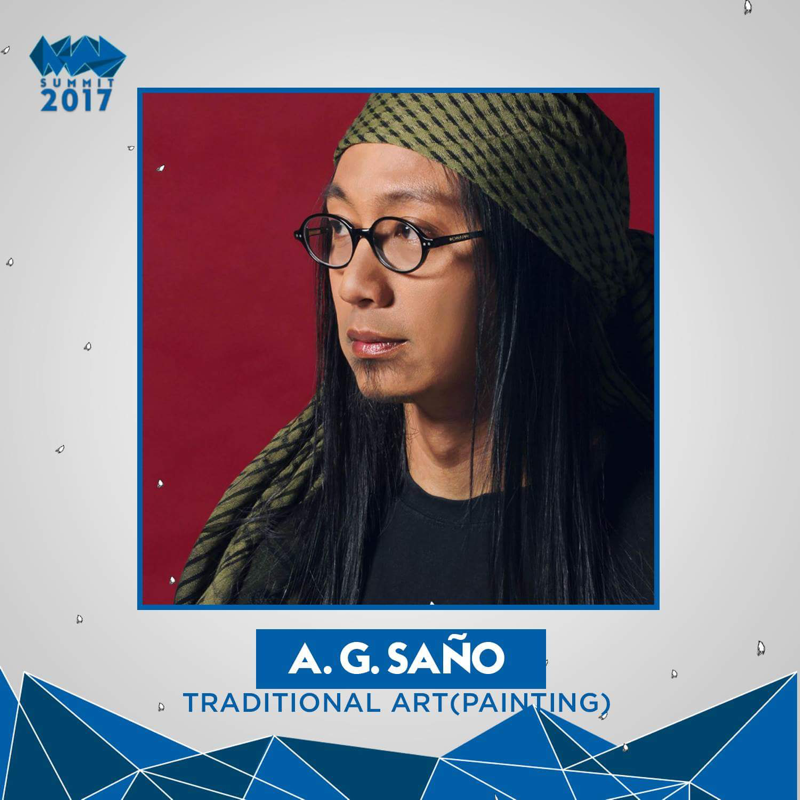 Aside from being an indie game developer, He is also a photographer, and adigital artist. She's juggling two jobs on a daily basis after being invited a month ago to team up with Frankly Organised, an Australian business consulting agency in Sydney, Australia where she curates articles, does graphic design, collaborates with suppliers from Mainland China, does research, conducts company meetings, and buildsstrategies for the company. 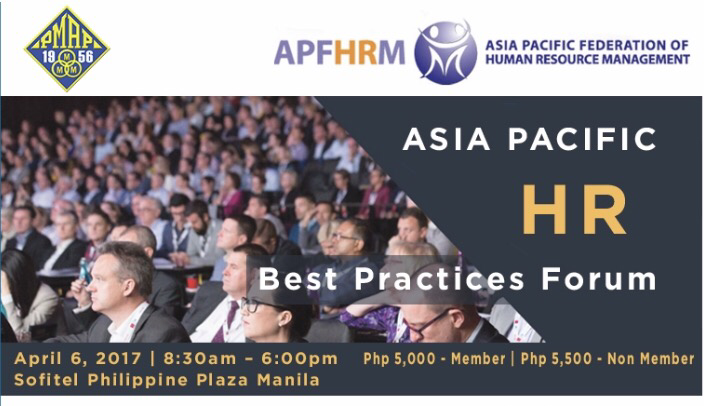 The APFHRM is an organization with membership from different human resource associations from different countries within the Asia Pacific region and one of its members, PMAP, will host this year’s forum about Human Resource’s best practices in building and sustain global competitiveness. 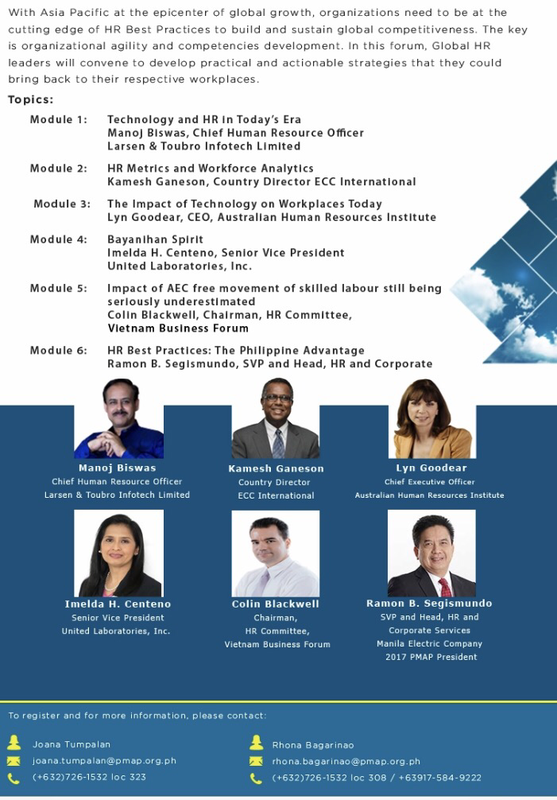 GlobalHR Leaders will convene to talk about practical development and actionable strategies needed by members into their respective work places. 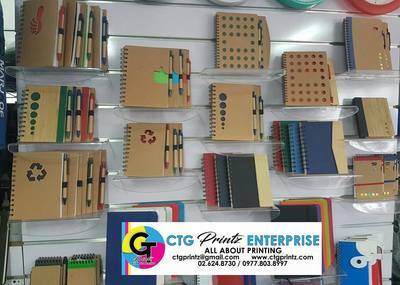 How Promotional items helps your brand. 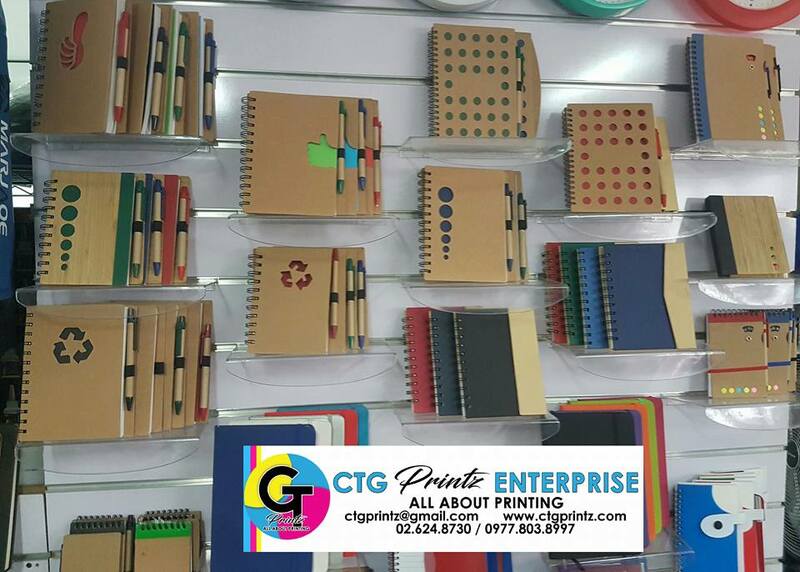 Promotional items helps increase your sales. It creates more awareness with regards to your brand. My blog started out as a project in school that turns out to be a regular blog. My friends told me to use this to incorporate my travel experiences and itineraries so that it can help other people and for them not to ask me every time they find out about my travels. I realized the importance of such promotional products when I started to join conventions and meetings. I have no business card yet and I felt that there is an opportunity loss for me. 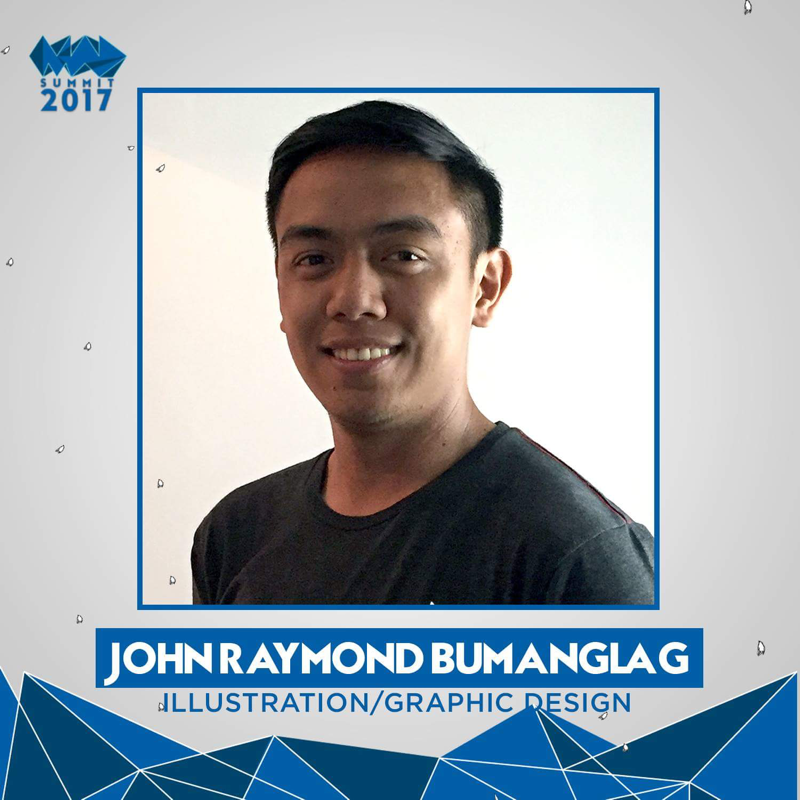 I might end up with great future collaborations if I have my own business card. 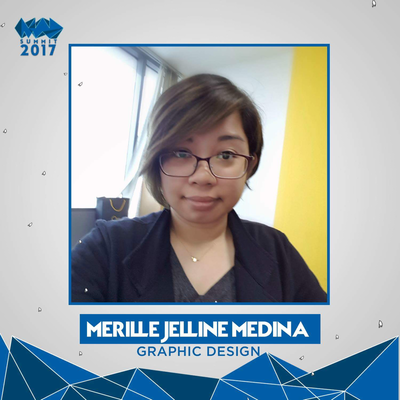 Right now, I am planning of having printed cards so that on my future meetings I can give some in order to broaden my network as well. Let me know if this design is Yay or Nay! Would love some comments. 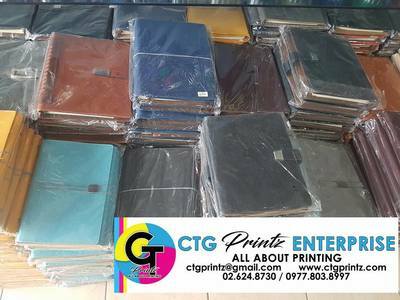 Saw one printing agency that would probably attend my need. 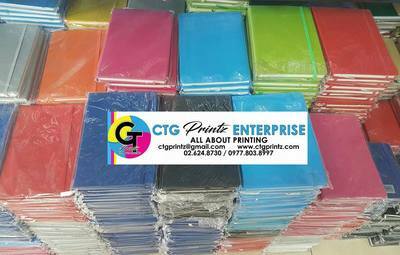 They do custom prints such as business cards, planners, tarpaulins, paper bags and many more. You can check out CTG Printz Enterprise. 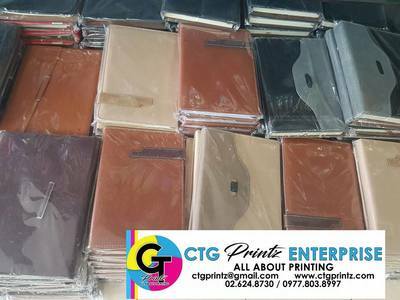 Here are some of their customized planner for those who loves to write. Still thinking of what design that i would love to have. Well, of course related to food and travel! Travelbook.ph, the leading local hotel booking website in the Philippines, is turning four this year! 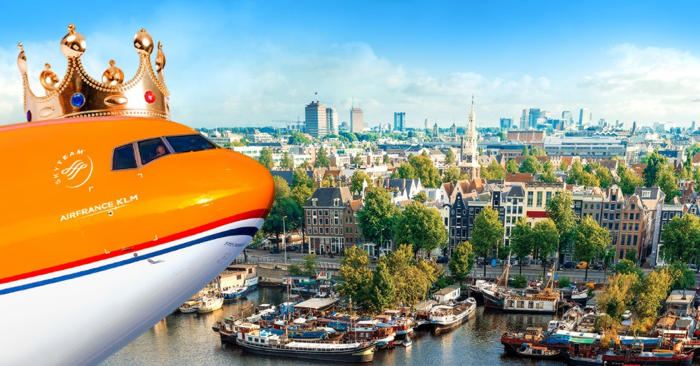 Each winner will win a pair of KLM Economy class tickets and a 3-night hotel stay in Amsterdam. 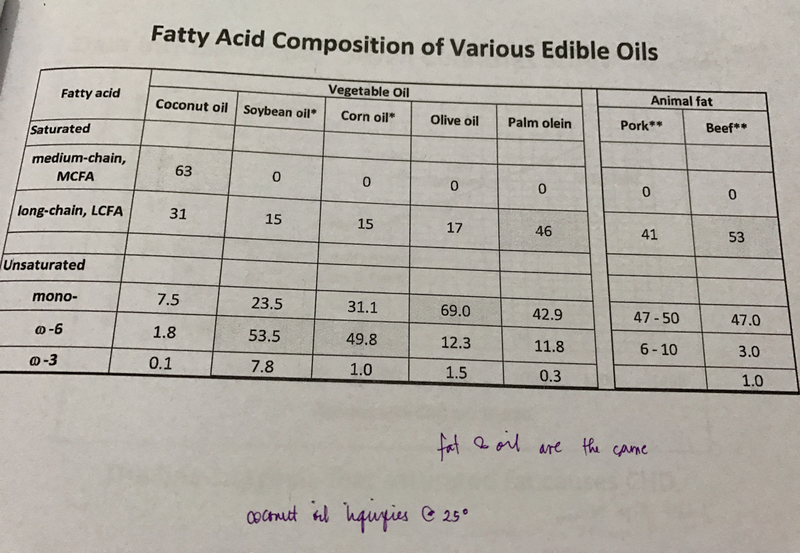 Coconut Oil has many healthy properties that can address modern dietary diseases. 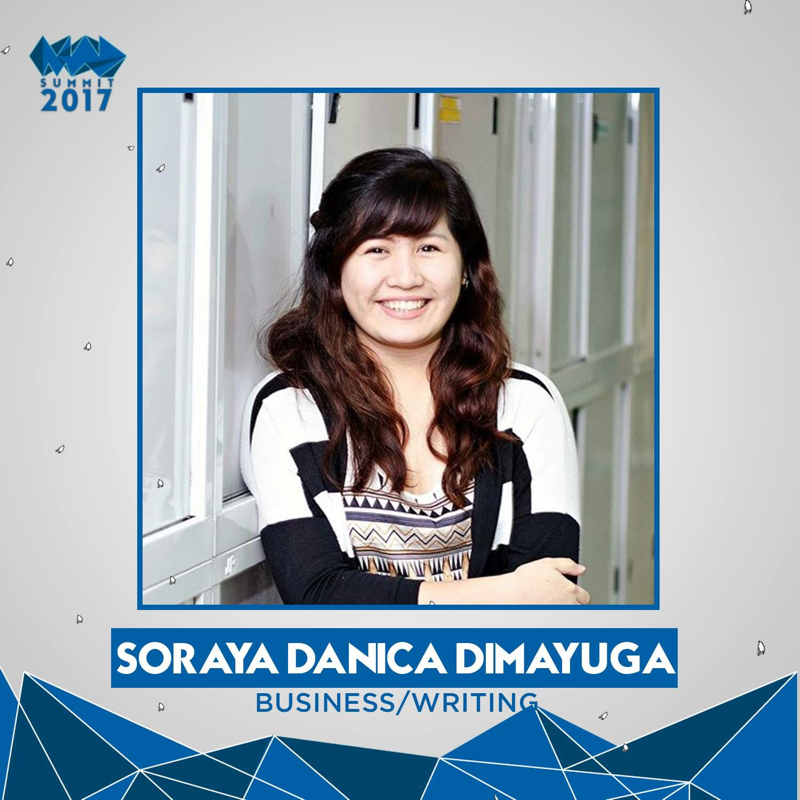 ​Last February 28, 2017 at Oracle Hotel in Quezon City, a Blogger's conference was held. 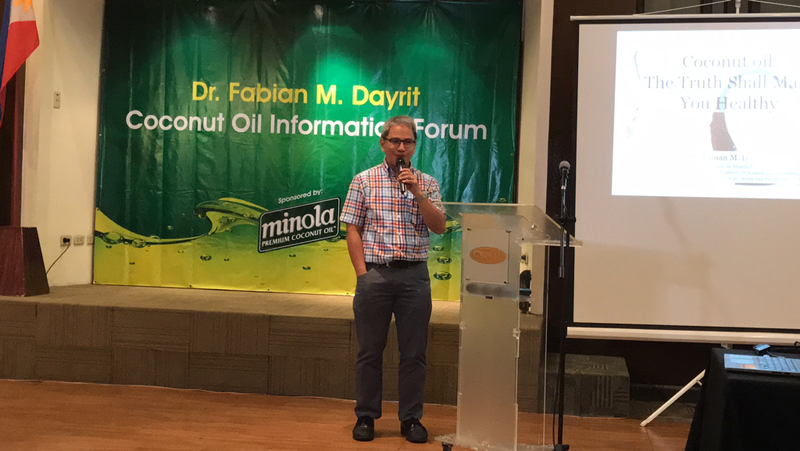 I'm glad I was one of the few invited to attend the Coconut oil information forum which was sponsored by the Minola Premium Coconut oil. The guest speaker was Dr. Fabian M. Dayrit, a professor at the Ateneo de Manila University, the acting-president of the National Academy of Science and Technology. He is also the Chair for Scientific Committee for Health, Asian and Pacific Coconut Community. Dr. Fabian M. Dayrit as he talked about coconut oil. 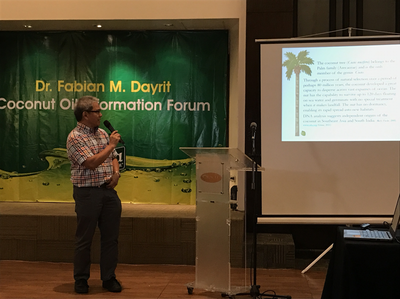 The forum started with a brief discussion about the history of the Coconut. Then followed by different topics such as Saturated fats and does cholesterol cause heart disease? 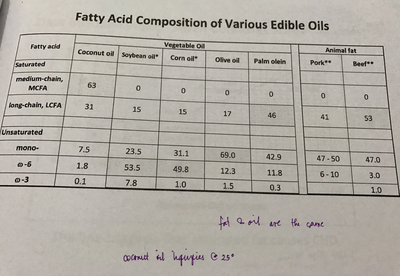 Lastly, emphasizing on the special properties of Coconut oil. Closing remarks by Atty. Jun Nario. I grew up in San Pablo City where I always see Minola Manufacturing when I was a kid. 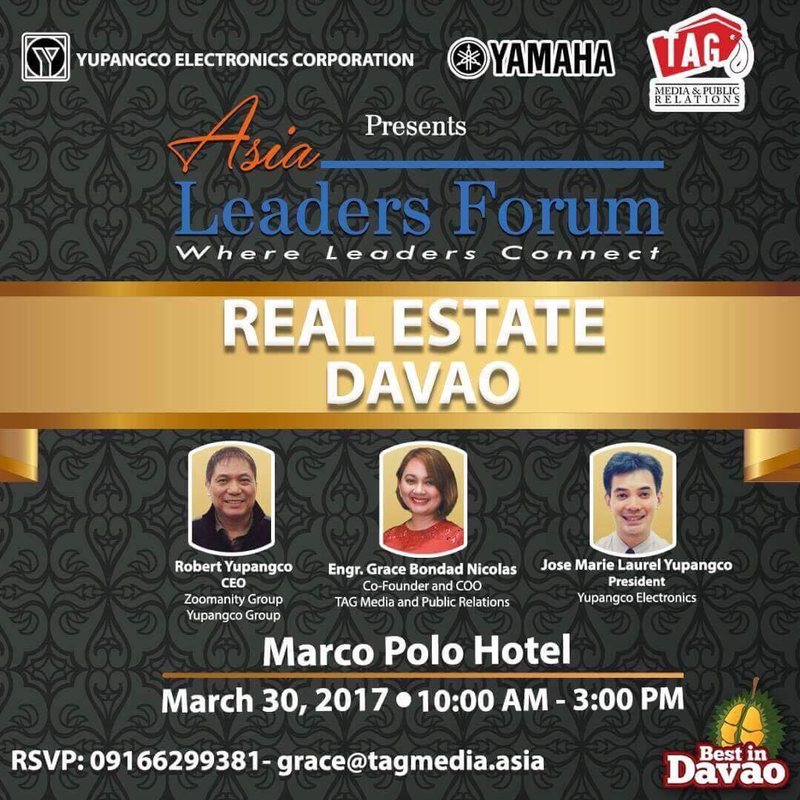 Who would have thought I will be able to attend one of their forums and get valuable first hand information from a reputable person. I ended the day with new learning and a happy face. Another productive day for me. Sharing some of my key take aways from the forum. - Coconut oil can help lessen the falling hairs. Shared based on experience by one of the attendee. - Medium Chain Triglycerides (MCT) provide's energy and do not accumulate or deposit in the body tissue. 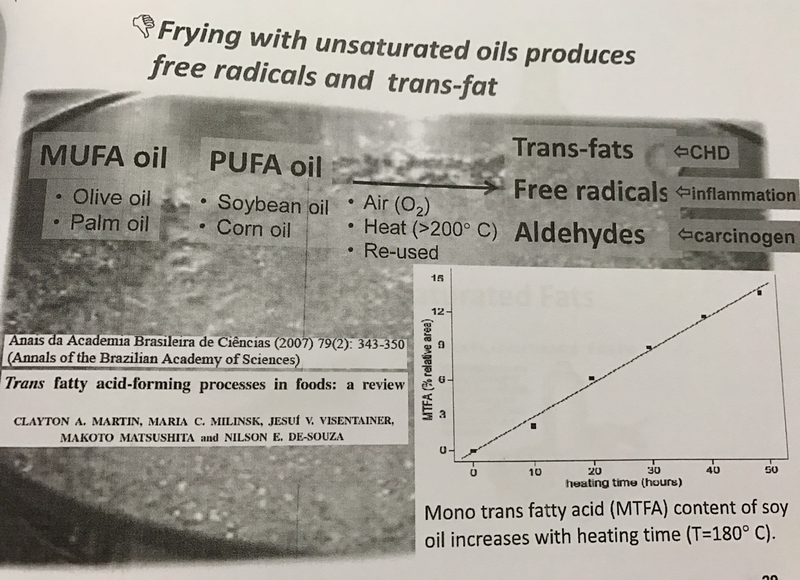 - Coconut oil is trans fat free, a natural product that does not contain hydrogenated fats. - Coconut oil is a lauric oil and when absorbed by the body becomes monolaurin. Monolaurin is also found in mother’s milk. It is said to be useful in increasing immunity and fighting viruses and disease. - Coconut oil promotes good health and helps build a stronger immune system. - That Cholesterol is converted into Vitamin D with sunlight. Wherein Vitamin D is also essential for our health. It is also converted to bile acids which are needed for digestion. Sharing my home-made pancake using Minola margarine for me and my hubby, para #HealthyAngRelationships. ​Please bear with me as I am new to cooking.Haha! Would you like to have a cold beverage to perk you up? Try a cold coffee brew in a bottle and satisfy your tastebuds until the last drop. UCC Creamy Caffe Latte combines real coffee with the creamy taste of milk to bring an authentic coffee experience. Unlike other bottled or canned coffee drinks that use instant coffee and extract, UCC Creamy CaffeLatte is made from roasted and ground coffee beans to capture the flavor of a cup of brewed coffee. Pop-up store and dispensing machine will be at Venice Grand Canal Mall to give out free UCC Caffe Latte from February 27 to March 12, 2017. There will also be human billboards who will give out samples when you take a selfie and upload to your Facebook or Instagram. 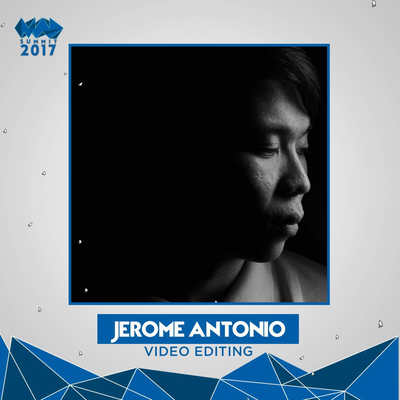 You may check the mechanics in our Facebook Page (https://www.facebook.com/LearnToLoveUCC/). UCC Creamy Caffe Latte is also available at leading supermarkets near you. Connect with UCC in social media by using the hashtag #LoveUCC. 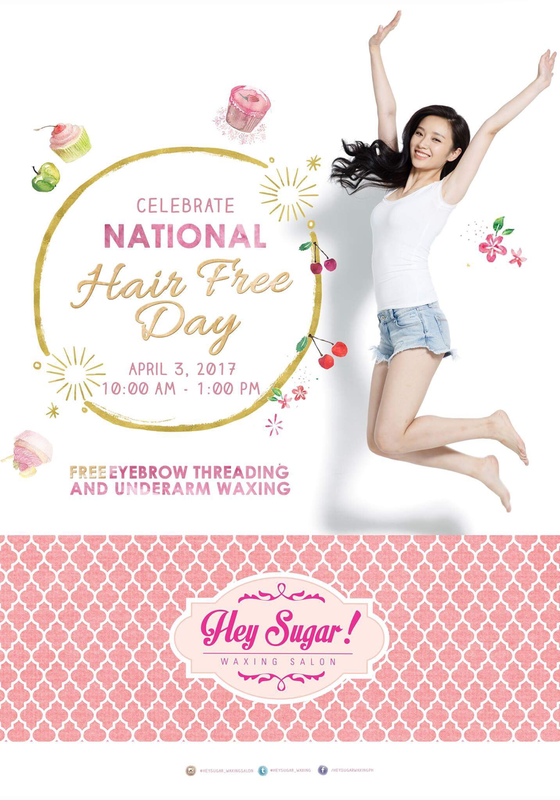 Get ready to celebrate the National Hair Free Day on April 3, 2017! 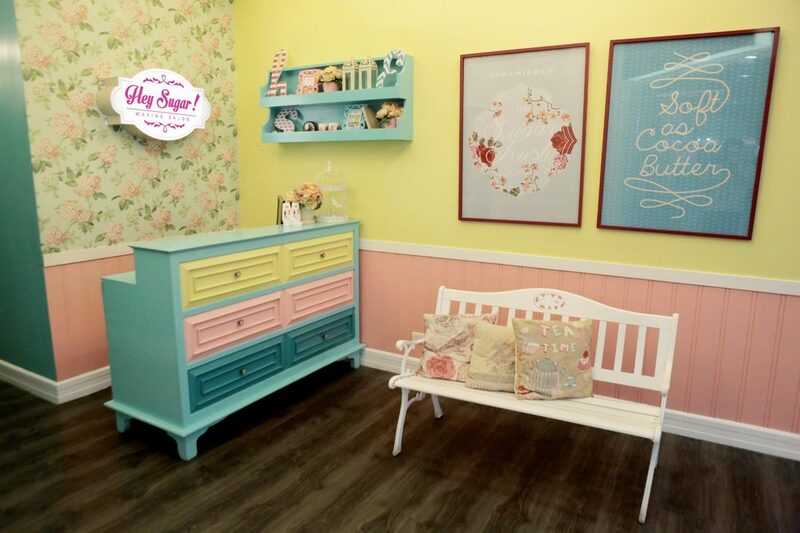 For the occasion, you can visit any Hey Sugar branch between 10:00 am – 1:00 pm and you can get free underarm waxing and eyebrow threading for free. Good news to all gals near and in Calamba area! 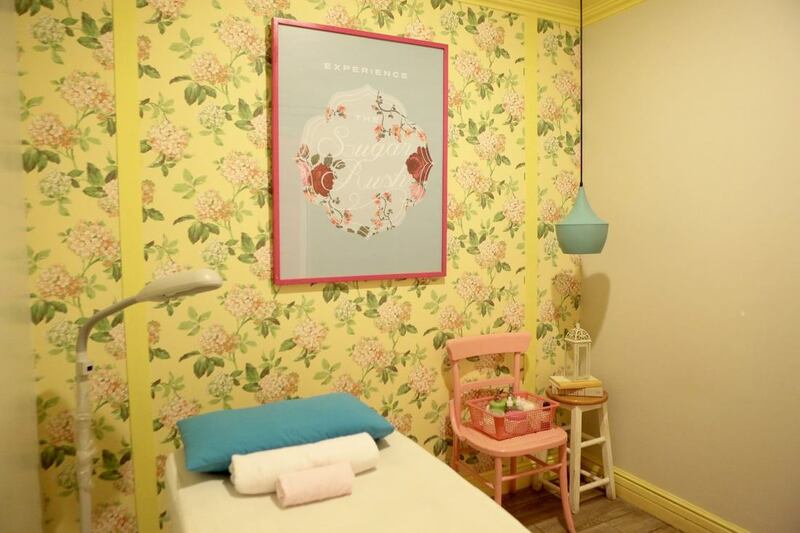 The all Natural and Safest Waxing Salon opens in SM Calamba. Good news, right? ​For bookings you may contact mobile number 09958401584. Our most awaited season.. Summertime! And it's coming! Oh well, you that it means hot weather, beach time, shorts, sandals, sundresses--and lots of it. Of course, vacation time! The question is, are you ready? Prepare for sandal-season Over the holidays, when the wind blew colder and your legs and feet were clad in tights and boots, it was easy to miss your regular waxing and pedicure appointments. But summer means trading in your warmer outfits for colorful shorts and summer skirts, paired with your favorite flip-flops or sandals. 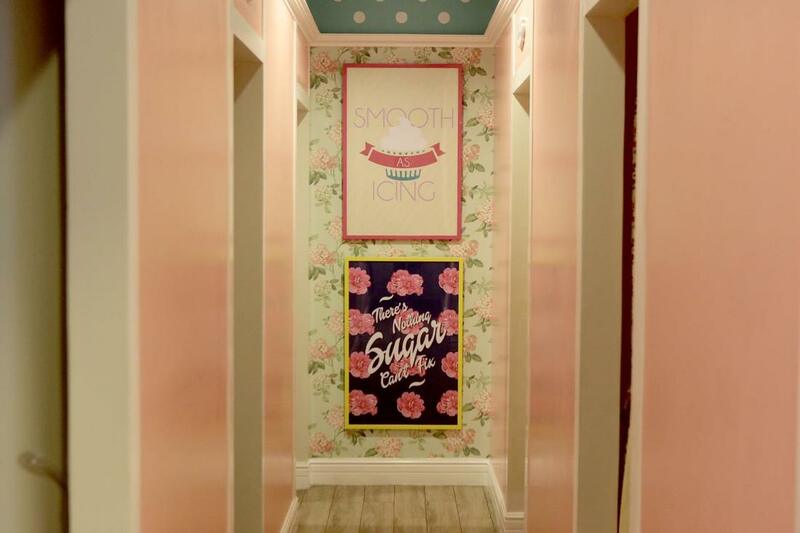 Book an appointment for a pedicure ASAP and jumpstart the season with a waxing session to get your stems ready. Get ready for summer outfits Legs are a major focus during summer that it’s easy to forget your arms need attention too. Because of the weather, you’ll be baring your arms and shoulders as soon as the wind blows a little warmer. Get them in perfect summer shape by booking a moisturizing treatment, followed by a manicure. Be sure to choose a bright hue on your nails to complement the season. Make sure you’re super Summer-ready Before you head off for your summer adventure, get yourself primed for the season by getting a head to toe buff and polish. Get Vitamin Sea: Manicure, Pedicure and Foot Spa to stimulate blood flow and leave skin glowing. Be sure to moisturize post treatment by keeping a bottle of Argan oil handy. Another run for a cause to watch out! It's the ultimate summer run party of the year! Plantronics strong campaign to practice hands free driving supports the Government RA No. 10913 Anti-Distracted Driving Act that will penalize drivers who use mobile phone and electronic devices while driving. 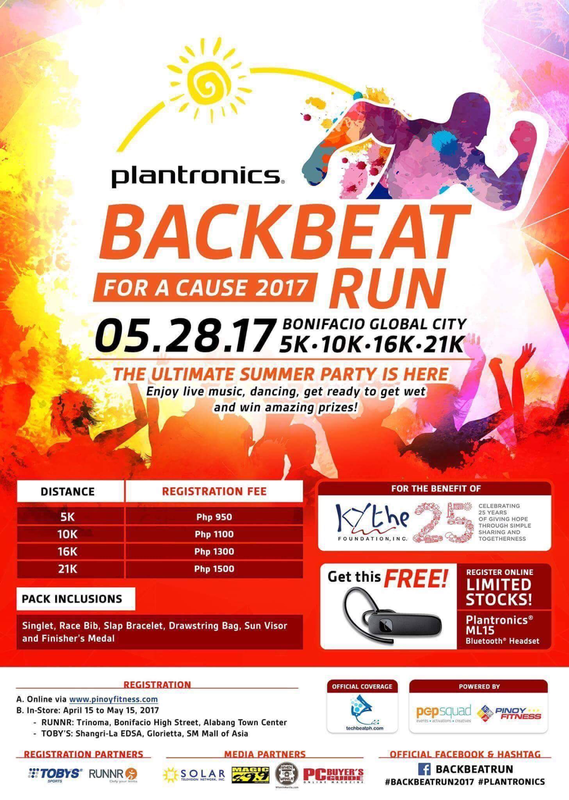 Runners who will register online will get special limited offer of Plantronics ML15 worth 995.00 Php. ML15 is a Mobile Bluetooth headset that allows user to enjoy mobile call without holding the phone. 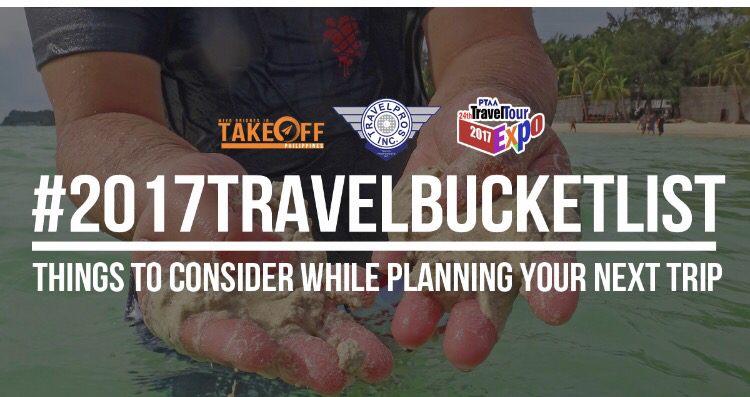 ​And speaking of organized travel management, Take OffPhilippines just partnered with Travelpros, One of the Best Travel Agencies in the Country, a pillar in Local and International Tour Package Services since 1993. 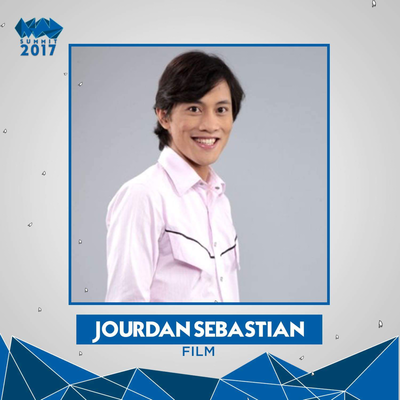 Member of PTAA and IATA. 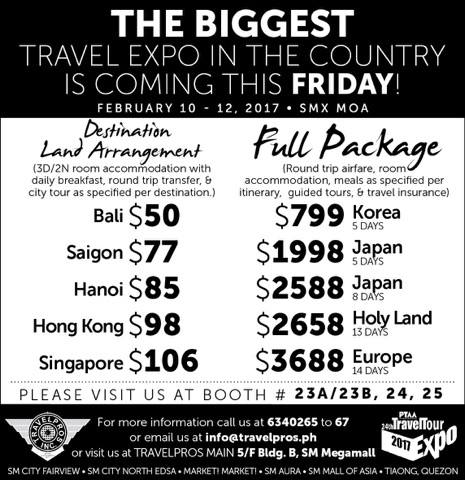 The pioneers in mall-based ticketing operations to help you out in all your travel concerns. It's already February and i'm sure all of us are aware that Valentine’s Day is around the corner and all we can say is to celebrate love! However, I am a firm believer that we need to celebrate love everyday, 24/7 and we don’t need a day to prove it. This year would be definitely one of my favorite Valentines day as I'll be celebrating it with my lovey-dovey. We got married last year but was not able to celebrate Vday with him as he needs to be onboard right after his birthday, January 25th. So to make up all those times we missed each other, we see to it that were going to enjoy each other's company once he get back. So quality time it is! Well, I guess this Valentine's day we'll make the most out of our time. Were still thinking of what to do but definitely attending mass is a must. 1. Attend a mass to a church that we have never been to. 4. Go on an overnight stay where we can be with nature and have some full massage. We enjoy random dates. Nothing fancy as long as we enjoy each others company. Sometimes we hang-out with our friends, We plan and go on vacation when time permits, go on a simple road trips on places near our hometown. 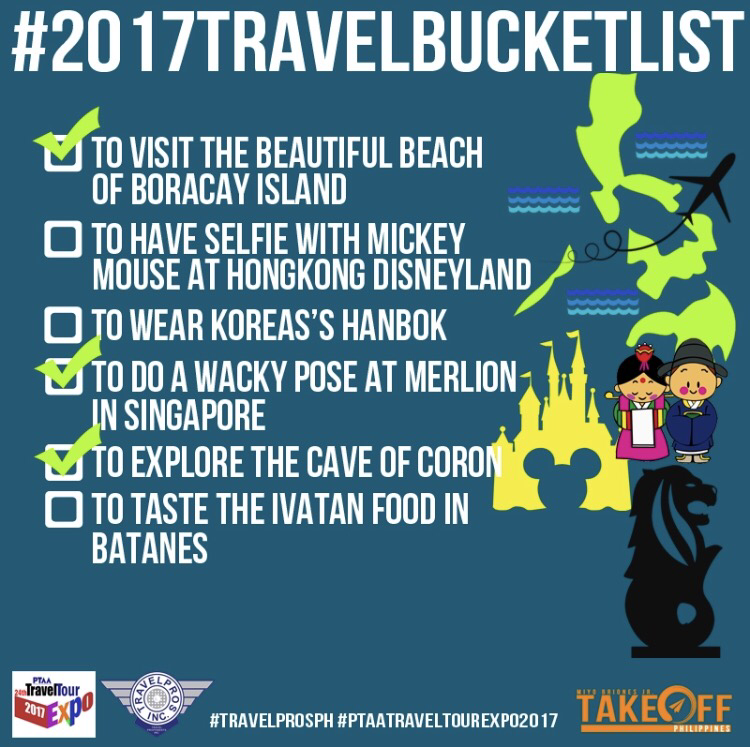 Explore on different food trips too! I guess, everyday especially when we are together is Valentine's day for us. Let me share some of our recent activities. This is my husband's first time here. Photo-Op of course. We celebrated my birthday in Coron, Palawan. Part of it is also our wedding anniversary. This is one of our best trips so far as we get to enjoy and have our QT with good scenery and water activities. One of our Kayaking Experience on our Coron Trip. This is taken at Bulog Dos Island. We enjoyed our roadtrip in Pangasinan with family just before the year ends. Visit to Manaog Church and island hopping at Hundred Islands with ny nephew being engaged! Yay! Then we went to another backpacking travel in Zamboanga and Isabela, Basilan. I really thank him for supporting ny backpacking adventures. This is his birthday trip but my wish was granted instead of his wish. Here's some of our pictures in Basilan and Zamboanga. Planning an out of town trip needs a lot of research so thanks to Travelbook.ph I can easily check-out on rooms and rates whenever I have an upcoming trip. I also joined their affiliate program which helps me use my points and monetized some of it. So I encourage you to join too! This blog post is my official entry to TravelBook.ph’s Valentine’s Day Blog Contest. 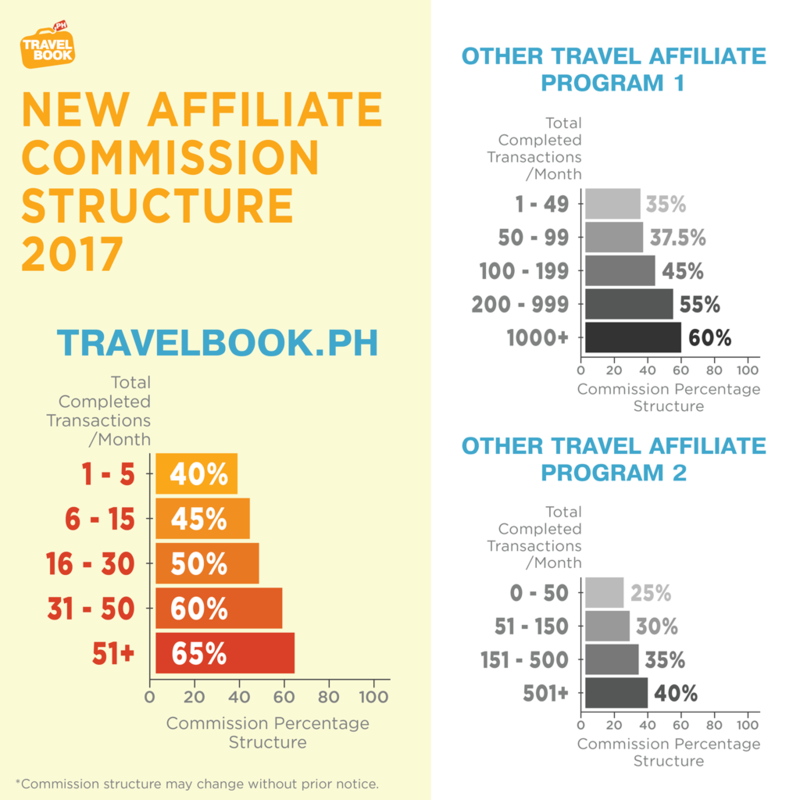 Be part of TravelBook Philippines affiliates by signing up at http://bit.ly/affiliatevday. 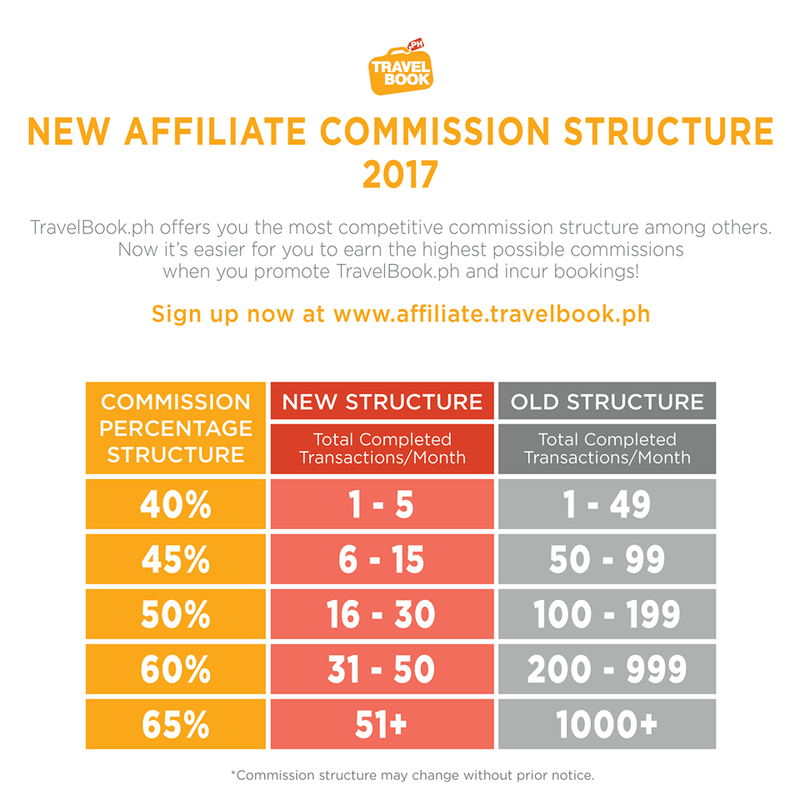 Sign up now to be an affiliate partner by visitinghttp://affiliate.travelbook.ph. Aside from enjoying the best commission rates, you will also have exclusive perks such as free out of town trips, special promos, and trainings from digital marketing professionals! Did you ever experience dieting, exercise and other efforts ​that helps you loose your patience? Or made you feel not nothing has changed even if you have done alot of efforts? I guess, sometimes all you need is something that will help you get rid of all the excess fats stored in your body. Aside from the fact that you need to work out to shed the pounds, you also need to eat healthy. You need to incorporate fiber, vegetables and fruits in your diet because they do not contain a lot of calories! A slimming food supplement that contains a powerful dose of Green Tea Extract and 7 times more L-Carnitinecompared to other brands! RedoXfat improves muscle strength, cognitive functions, raises energy levels and has a bonus of anti-aging properties. How can you not know about something that would definitely keep your chin up and welcome back your old figure? Now is the time for hope. No more frustrations, no more disappointments. 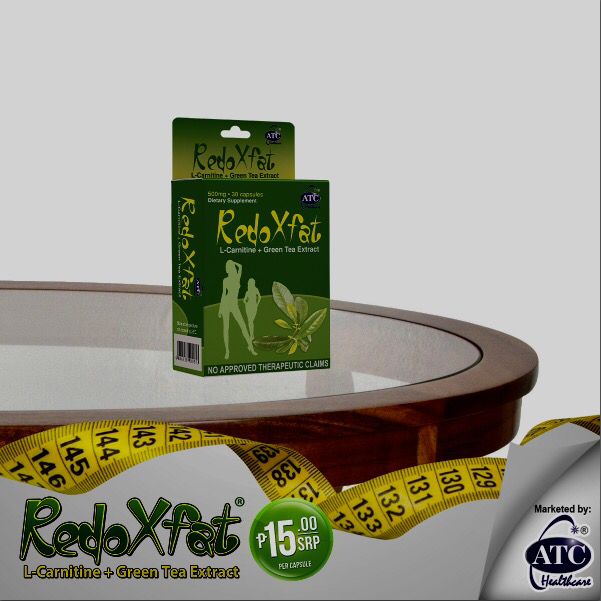 Get your old body back with ATC Healthcare’s RedoXfat. ​Please note that RedoXfat is not a medicinal drug and should not be used to treat the symptoms of any disease. RedoXfat should be taken daily, before every meal, preferably with a warm glass of water. 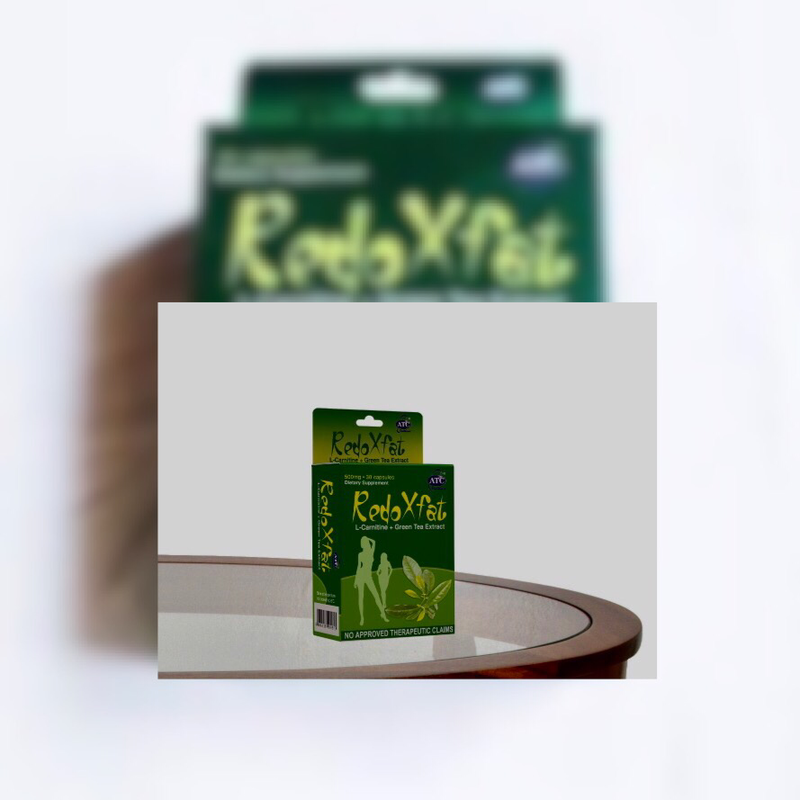 RedoXfat is SRP P15.00 per capsule available at all Mercury Drug and other leading drug stores and supermarkets nationwide. There is a better way to be healthier this year. Ever felt guilty of all your food intakes during the holidays? I know all of us can relate to that. Christmas season entails a lot of get-togethers and bonding sessions. Comes new year which is also a gathering merely with family and relatives. Ohhh food is everywhere! As we welcome the New Year, we always comes with a new year's resolution. And almost all of us aims for a healthier lifestyle. Although, some people want to look better that they miss the whole point—the healthier, the better. It is important that we are healthy overall. It is also important that we are on a healthy weight because we aim for a healthier version of ourselves. So in order to start having a healthy weight, it is advisable that we regularly detoxify. It is not very hard to do especially when you can detoxify in a form of a supplement. FatOut is a slimming supplement that helps lose weight without dangerous consequences. FatOut’s strength is its ingredients that have the ability to help clean the colon and get rid of wastes as it is easily taken out of our system. The body flushes away the bad fat and toxins that make us gain weight, in the most convenient way possible! 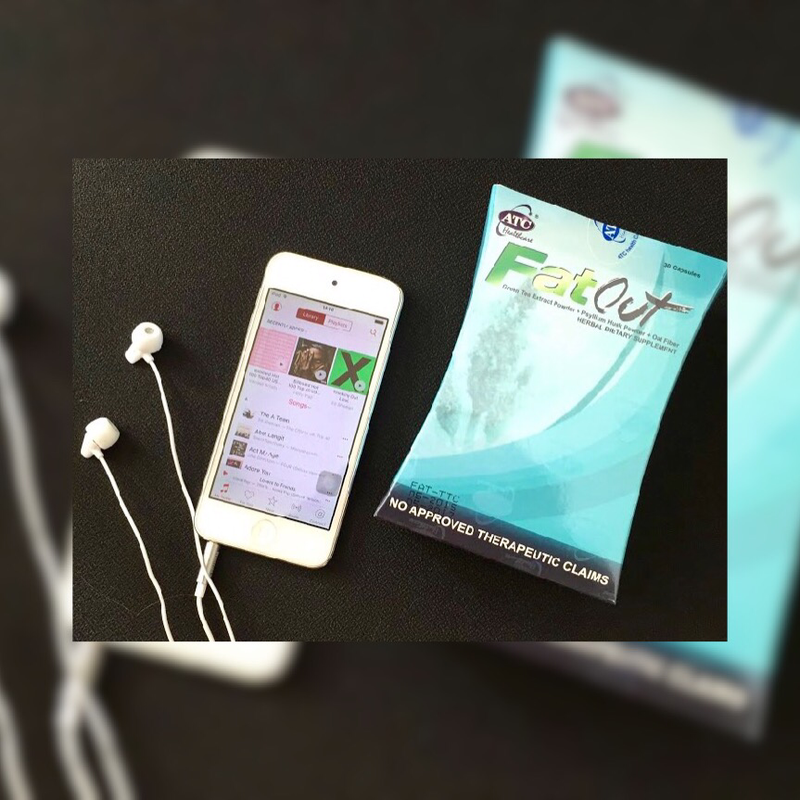 With FatOut, you will experience the revolutionary Sweep and Shred Formula which cleanses the colon and burn down fats for a healthier and sexier you which mainly promotes detoxification. FatOut is high content Pu’er Tea, Aloe Vera, Alfalfa, Oat Fiber, Green Tea and Psyllium Husk that is made more effective than powdered ingredients. 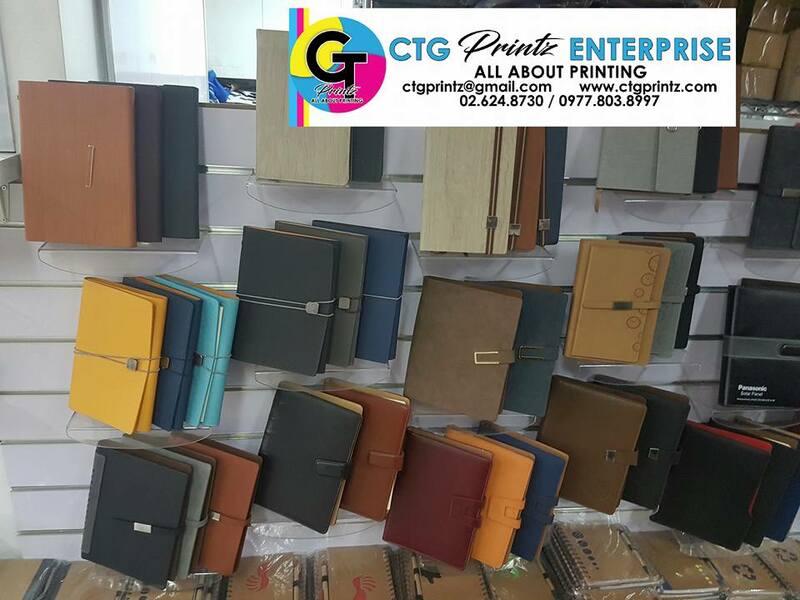 It is a product of extensive research and development with top quality from the collaborating group of ATC Healthcare International Corporation, Phil. United Pharmaceutical Corporation(PUPC) and The Bioscience and Technology Business Centertogether with KanPro Research Incorporated in the University of Kansas. To know more about it, like FatOut on Facebook to get more promos and updates. Also, you can follow @FatOutPH on Instagram and Twitter. All of us for sure normally gets tired. May it be because of work, doing household chores or studying. We sometimes ignore the quality time for out family and friends, what we want is just to lay down and sleep to take a rest. However, we didn't notice of the time that was lost. A precious time we could have been enjoyed with. Good thing there is this Energy booster which is made from certain ingredients that helps to boost one's energy. Well, this fits perfectly for those people who works hard. It is very important that we have the proper amount of energy so that we can face our day to day lives. And yes! Even if it's a tough one. Robust Energy Capsule contains the ENERBOOST formula which is made up of ingredients with main benefits that give extra energy needed to cope with everyday living of different individuals with various lifestyles. ENERBOOST formula contains properties which help boost energy, enhance endurance, improve alertness and alleviate stress without caffeine. This gives you energy boost without the “crashing effect” of caffeine namely palpitations, anxiety and lack of focus. No caffeine, means more energy with Robust Energy Capsule! 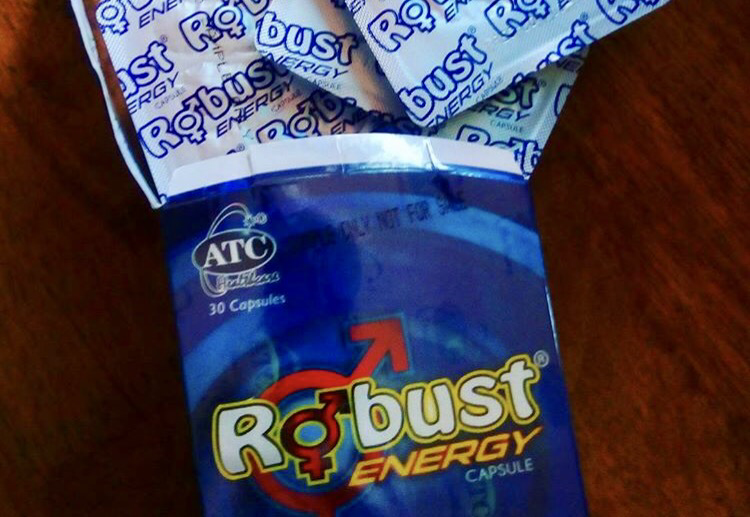 Robust Energy Capsule is high content of Taurine, Ginseng, Sodium Ascorbate, Vitamin B1, B6 and B12 that is made more effective than powdered ingredients. 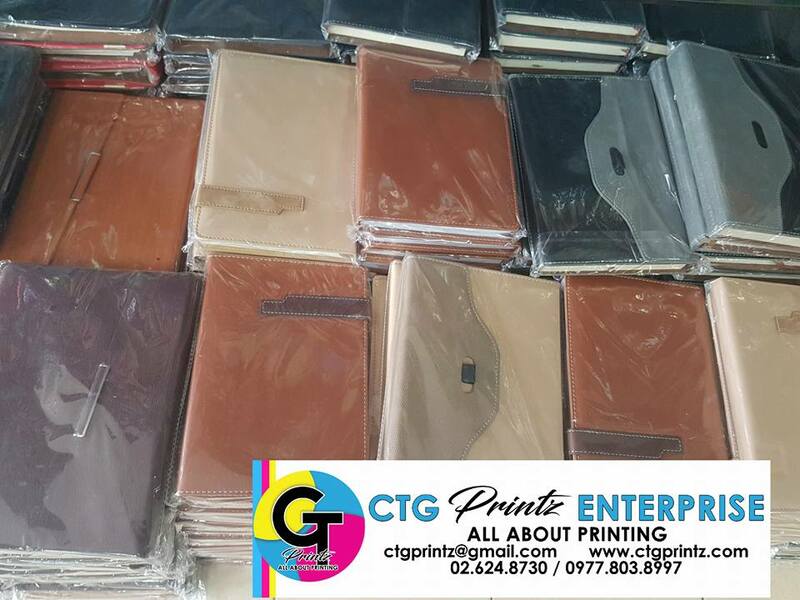 It is a product of extensive research and development with top quality from the collaborating group of ATC Healthcare International Corporation, Phil. United Pharmaceutical Corporation(PUPC) and The Bioscience and Technology Business Center together with KanPro Research Incorporated in the University of Kansas. It is developed by ATC Healthcare International Corporation known for their supplements such as Robust, Robust Extreme, FatOut, Vita-E, BitterGo, LiverMarin and a lot more that provide care to all Filipinos. 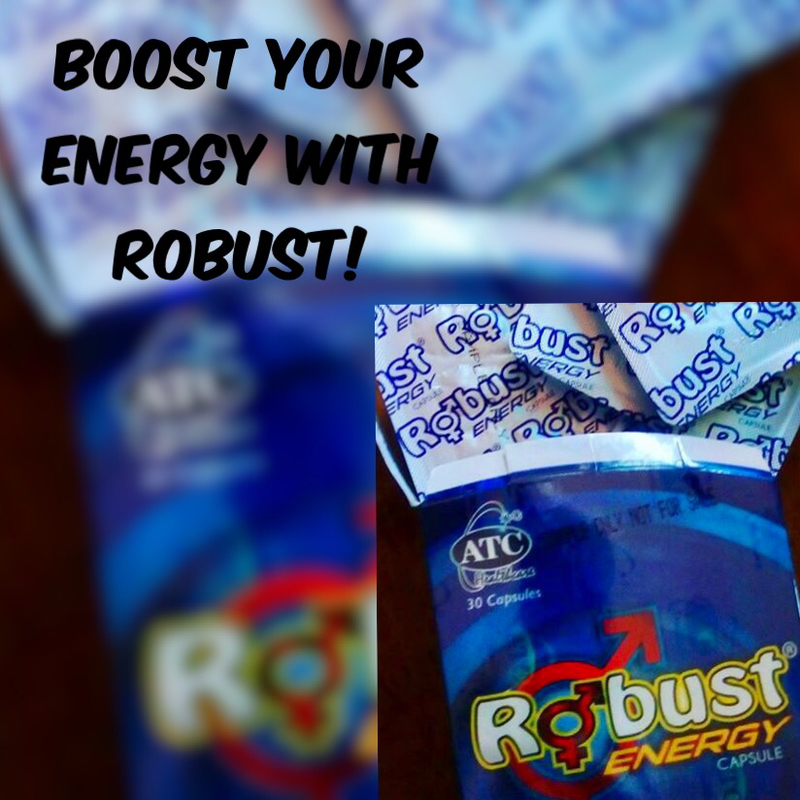 To get more promos and updates, please like Robust Energy on Facebook, follow @RobustEnergyPH on Instagram and Twitter. Being healthy and living a healthy lifestyle are being advised by many doctors. This is a way to lessen the not-so-good medical conditions that are threathening our lives. One of this is taking care of our liver. Just as the saying shows, "it's better to be safe than sorry." Here are some simple tips on how can we take good care of our liver. .1. Make sure to include Garlics on your daily diet. Yes, you read it right. Since it contains allicin and selenium, it helps on cleansing the liver. 2. Grapefruit is also a very good fruit. It contains vitamin C and antioxidants thus helps our liver in the production of enzymes which helps detoxify our livers. 3. Drinking Tea especially Green Tea is also good for the body. The antioxidants helps the liver functions. Aside from that, make it a habit to do your daily exercise and adding a supplement that will help you supports the liver to make it healthy. 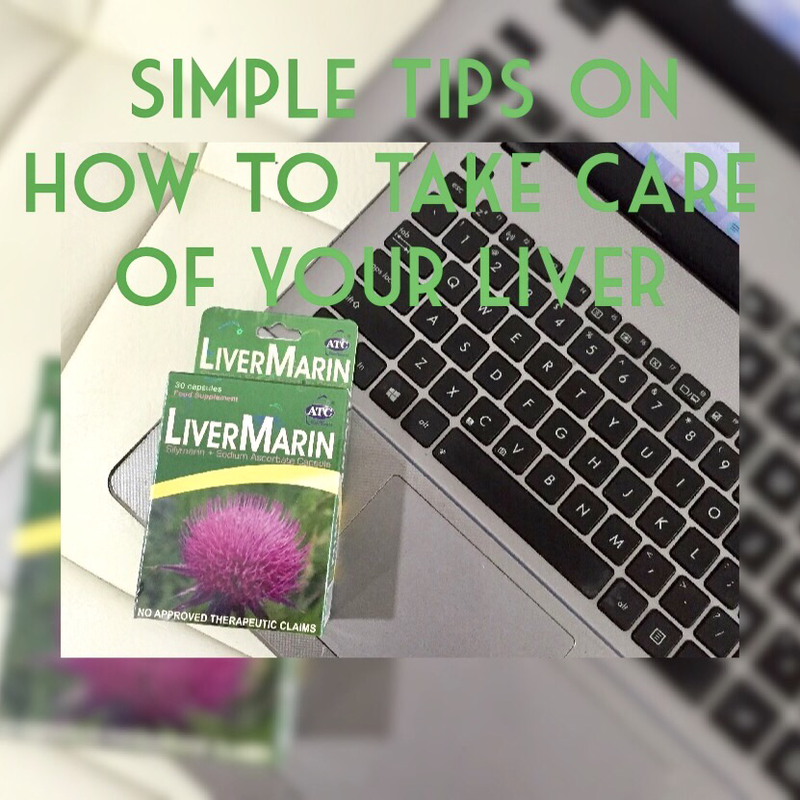 LiverMarin is specifically made to aid our liver with its Silymarin and Sodium Ascorbate compounds. ​• Silymarin – Is an anti-fibrotic thathelps avoid tissue scarring. It also blocks the toxins away from our body, away from our liver. It regenerates liver cells damaged by alcohol or drugs. It also protects us against industrial poisons and lastly, It is a good antioxidant. • Sodium ascorbate – It has general immune boosting properties. It helps prevent the body from getting diseases. It has anti-bacterial and anti-viral properties which aids in protecting the body from harmful diseases. Also, it is essential for the body to be able to synthesize collagen, which is an essential component of connective tissues. 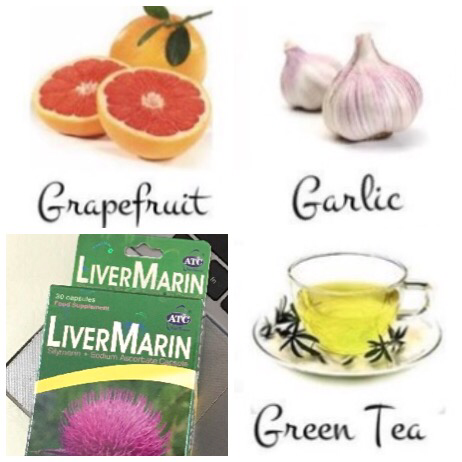 LiverMarin is high content Silymarin and Sodium Ascorbate that is made more effective than powdered ingredients. It is a product of extensive research and development with top quality from the collaborating group of ATC Healthcare International Corporation, Phil. United Pharmaceutical Corporation (PUPC) and The Bioscience and Technology Business Center together with KanProResearch Incorporated in the University of Kansas. Check out LiverMarin on Facebook to get more promos and updates. Also, please follow @LiverMarin on Instagram and Twitter. New Year, New You with Vita E! I'm pretty sure everyone on us have one in mind. Me, I want to take care of my skin. Being busy as my excuse before should not be accepted this year. So I decided to change and promise to myselp to do some rituals that will help me achieve my goal. Based on some research, skin rituals are very helpful especially when you do it religiously, without missing out on it or being lazy. These skin rituals are enough to make your skin glow without going to the derma salon and spending way too much! Practical tips indeed! 1. Make sure to clean your face with a mild anti-bacterial facial wash. This expels the dirt, oil and the make-up you put on your face. 3. Then put a natural oil facial serum. This will give the skin moisture and health. 4. Take a Vitamin E supplement at least once a day. Vitamin E helps in providing skin beauty and health plus it helps maintain the skin’s radiance and healthy glow. Aside from that, it also helps in maintaining the functions of blood vessels, brain and nervous system. It strengthens the immune system and promotes good eyesight. It prevents cancer, heart disease and stroke as well. 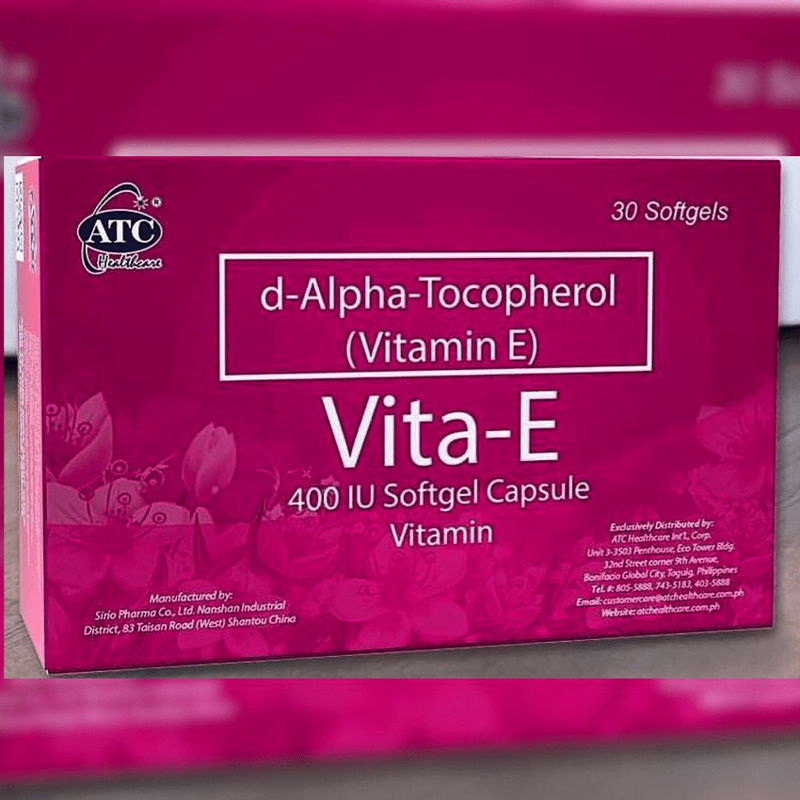 With 400 IU of Vitamin E, ATC Vita-E is perfect for us. It benefits our body greatly and protects the cells from harmful effects of free radicals. Vitamin E—being a good antioxidant, maintains the radiance and glow which makes up for an even healthier skin. No need to worry when you have Vita-E.
For a healthier you and a healthier skin. For effortless beauty with ATC Vita-E.
different from other over-the- counter vitamins. For more updates and promos, you may like Vita-E on Facebook. Diabetes: How to stay away from it? 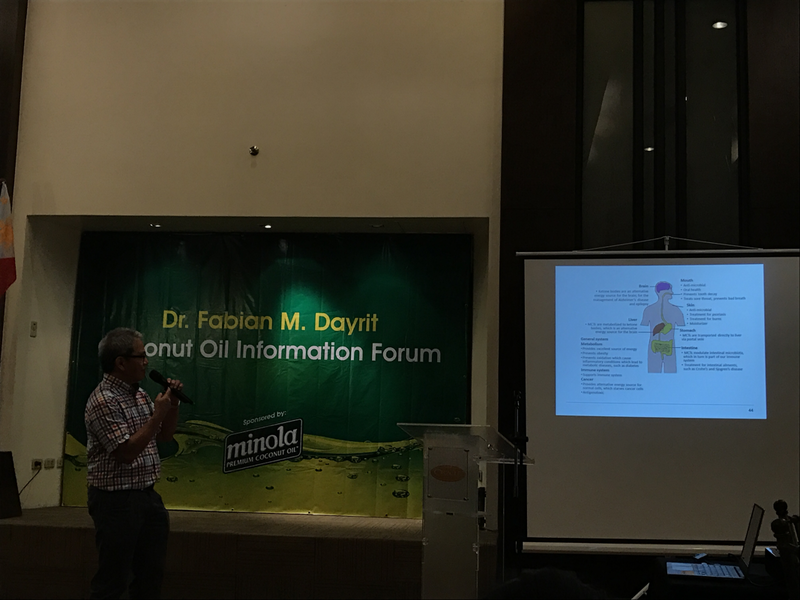 According to IDF.Org, "The Philippines is one of the world’s emerging diabetes hotspots. 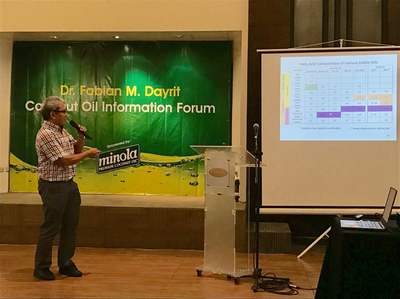 Ranked in the top 15 in the world for diabetes prevalence, Philippines is home to more than 4 million people diagnosed with the disease – and a worryingly large unknown number who are unaware they have diabetes." I know that you'll agree that whenever we heard of the word Diabetes, it's not so good to hear it. We always had this impression that its hard to deal and there's a lot of "bawals" (must be avoided) when it comes to food to eat. 1. Lose extra weight – having a healthy weight helps control the blood sugar levels. 2. Control carbohydrates intake – manage your daily carbohydrates intake as this will help keep your blood sugar under control. 3. Regular exercise – do your exercise daily, it cuts down stress and triglyceride levels. 4. Give yourself enough rest – getting enough sleep is best for our body, it leads to a healthier eating habit with improved bloodsugar level. 5. Know your normal blood sugar – it is important to be conscious on your blood sugar. When you know where you stand and which level your blood sugar is at, you will know if you just need diet or you have to get checked by a physician already. control it. And its nice to know that here's already a supplement that has ingredients which may help manage your blood sugar levels. and development with top quality from the collaborating group of ATC Healthcare International Corporation, Phil. United Pharmaceutical Corporation (PUPC) and The Bioscience and Technology Business Center together with KanPro Research Incorporated in the University of Kansas. 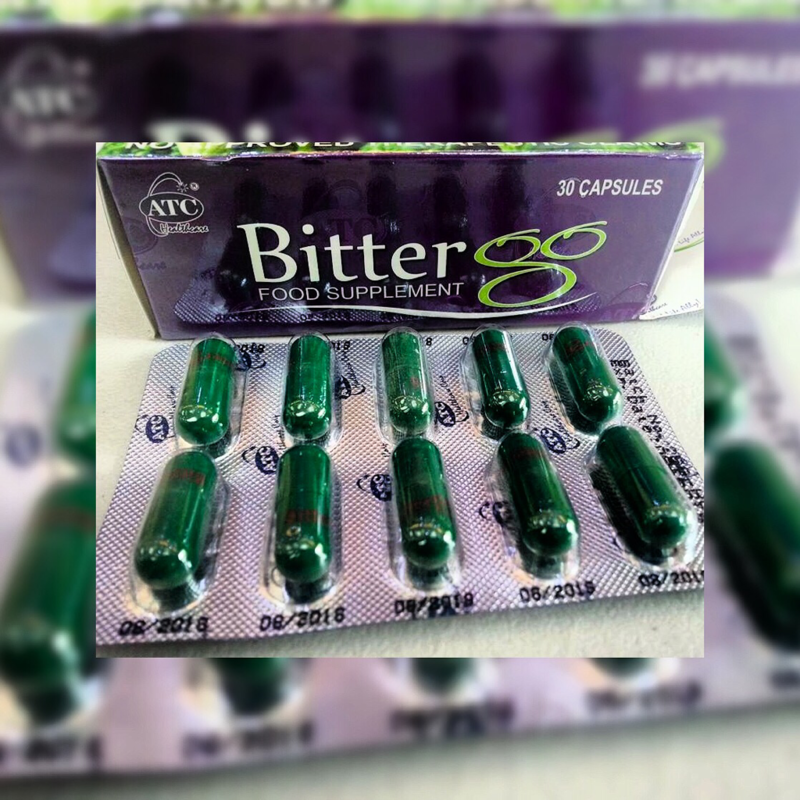 BitterGo is SRP P7.50 per piece, available at all Mercury Drug and other leading drugstores and supermarkets nationwide. Accountant and MBA graduate who recently quit her corporate job. Currently, in search of what her heart really wants her to do.